This bangle is the second piece in my new series of Geometric Suspension beadwork and features in Geometric Beadwork Volume 2. 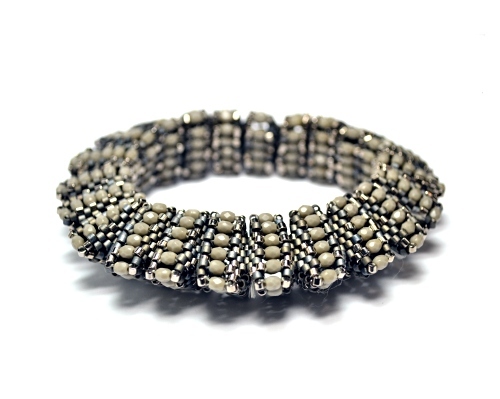 I loved the plain, opaque grey firepolished beads when I found them and teamed them with size 10 Delica beads for a bold bangle. You can see a pendant variation here, more examples here and purchase a kit here.